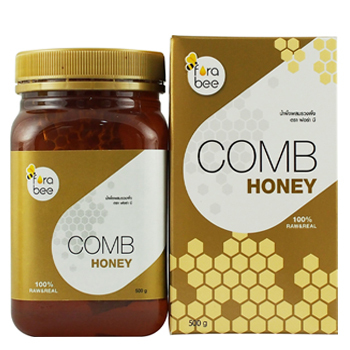 Comb honey is honey that comes in its most natural form. Not extracted, filtered, this product is truly fresh and delicious with the sweet taste, exactly as the bees made it. The comb is the hexagon shaped wax the bees build up and use to keep their foods including honey and pollen. This product is not only edible, but very beneficial as it contains a natural antibiotic, vitamins and minerals which helps maintains good health. You can take a teaspoon full of comb honey and just enjoy and chew it, or spread it on toast or bread or use it as a topping on your favorite desserts or drinks.